own plans to rebuild the highway pull off when the Government had intentions to allow a Chinese company to maintain the highway. 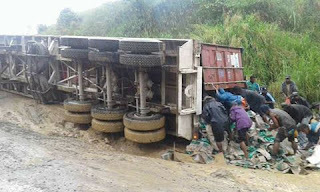 secured a 30-year K6-billion loan that will put all the problems on the highlands highway to rest. of what has been preached 5 years ago. Where is the media propaganda of 30-year loan to fix the highway during 2012 elections? on the 28th September 2012 that it would be finalized within a month and funds would be available six months later then. worth of K419.35 million (US$132 million) for engineering, procurement and construction of the Lae-Nadzab road was accorded. Corporation. To date, nothing is tangible on these sections of the highway and CRI faced ‘axe’ with the contract. which many PNG citizens still don’t know where the actual K6 billion loan gone to. further to talk about strengthening ties with ADB for possible funding of the highlands highway. 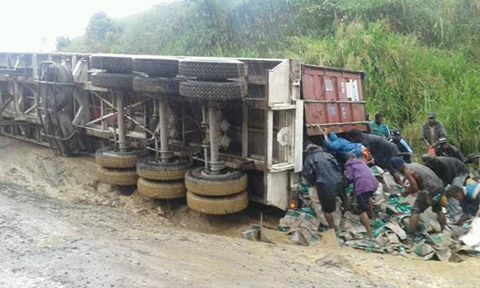 Too much preaching about the highlands highway and no tangible development has taken place to date. other roads in the country too.